Premier League Results: Score, Match Analysis and Highlights from the Fixture between Everton vs Manchester City on Saturday, March 16, 2013. Includes Video Highlights for U.S. viewers (as available). Everton began the match in high spirits. They spent the better part of the first half in possession and were pressing Manchester City every time they were on the ball. Everton had some chances including a Kevin Mirallas goal that was chalked off, wrongly, for offsides. It is very unfortunate there is no video replay available for the fourth official to look at and tell the linesman that he got it wrong. This did not stop Everton from pushing on, despite City getting a spell of possession and a few chances. In the 32nd minute Leon Osman smashed a nearly 40 yard cracker from the middle of the pitch that flew to the right of Joe Hart and put Everton up 1-0. In the second half Everton started out continuing to boss the game, pressing Manchester City and keeping them largely in their own half. This changed in the 61st when Steven Pienaar was given a red card for his second bookable offense. Earlier Marouane Fellaini had received a yellow card and he will miss the next two games since that was his tenth of the season. Everton hung in there, even with 10 men they continued to push forward and eventually got a last minute goal from Nikica Jelavic to get a deserved win. The loss for Manchester City means they still sit 12 points behind United and, with their game being played later in the day, could be behind by 15 by the end of the day. Everton move into fifth on 48 points, 1 point ahead of Arsenal with Arsenal also playing later in the day. 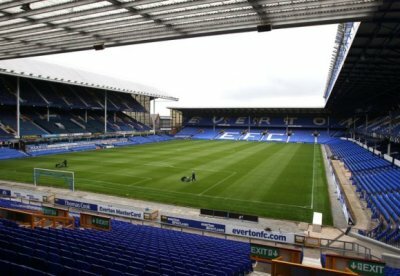 Everton put in an excellent display across the entirety of the pitch all match long. They showed a lot of spirit to come back from the disappointment of their FA Cup loss. Seamus Coleman worked the City defense and got back to help his own defense. Jan Mucha put in an impressive display as cover for Tim Howard and made some great saves to keep them in the game. Both teams will be disappointed with the referee following some debatable decisions. City should have had a penalty for a handball in the box (by Fellaini), but the referee gave them a free kick at the top of the box instead, presumably for a handball by a sliding Leon Osman. Either way, both teams had reasons to be upset, but the better team won on the day. Joe Hart was completely flat-footed on that shot. He was right to hang his head. He certainly was flat footed. It was like he wasn’t expecting the shot to come at all and when it did, was just hoping it would go wide.